What is the real purpose of the candi module? What is the CANdi module used for? What’s the physical interface and LED? An industry change in protocol from OBD II to Controller Area Network (CAN) is ongoing. 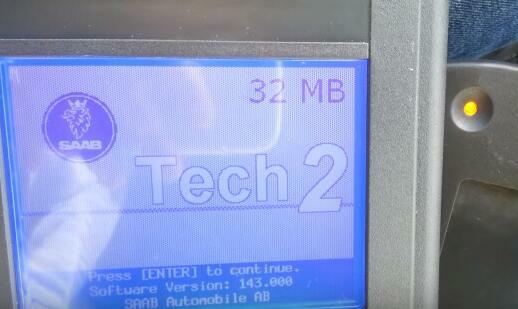 In order to perform diagnostics on a vehicle that uses the CAN interface, you will need the Tech 2 and a CAN diagnostic interface module. 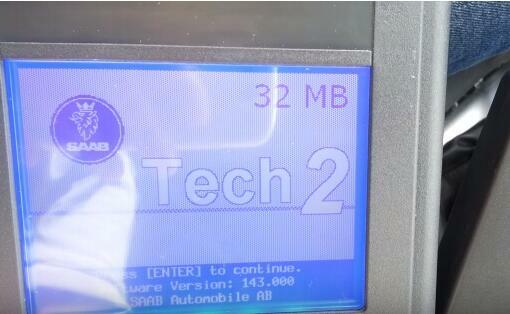 The CANdi module connects between the Tech 2’s diagnostic link cable and the OBD adapter. The Controller Area Network Diagnostic Interface (CANdi) is an in-cable module that works with the existing Tech 2 components including the VCI, cables and adapters. Installed, the CANdi module is fully backward compatible with current tester functionality. The module powers up in a way that makes it transparent to the user. That is, unless the Tech 2 enables features specific to the CANdi module. This allows the existing Tech 2 software to be used with no changes, whether or not the CANdi module is installed. The CANDI module reads the CAN Network on cars that have it. Corvettes 2005 and newer use the CAN Network. 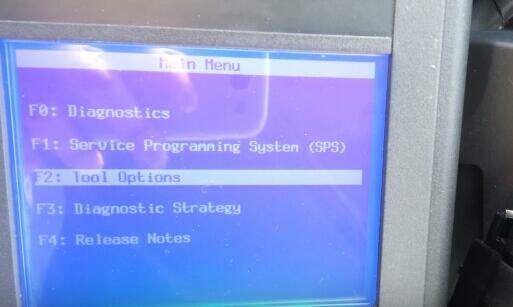 Still use a OBDII connector but the Candi module is needed to read the data on the CAN Network. 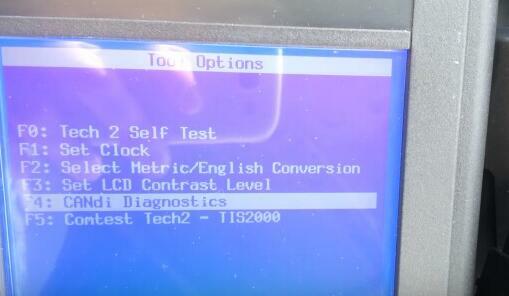 The primary function of the CANdi module is to add CAN capability to the Tech 2 scan tool. 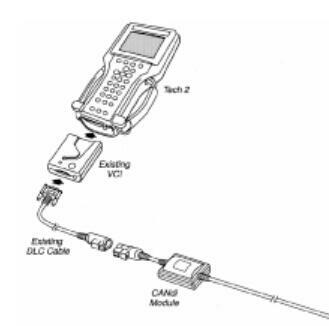 CANdi adapter connects the Tech II by way of the existing Data Link Connector (DLC) Burndy Connector. The vehicle side connection remains unchanged using the existing adapter to interface between the Burndy connector and the SAE J1962 connector. When functioning properly, CANdi’s LED flashes. In the vent of a problem，the LED will be constantly illuminated. How will you do with “NO CANDI Communication Established”? Then, disconnect the connector leaving the candi adapter going to the OBD port. Plug it back in and make sure its real snug, then plug it into the obd port. I need to do this every now and then with my clone one. Usually it works after. Suspect the pins arent making the best contact. 1. With the car ignition off, connect the Professional Diagnostic Tool GM Tech2 and CANdi module (which is now one long cable). 7. Either turn the ignition key of the car, or start it (for a C6 there is not an “on”). 8. Press the EXIT button until the Tech 2 goes back to the main menu. 10. Make sure you want to look at the module. You may be choosing body style; You may need the body code (sometimes the third character in the VIN) You may also be asked about certain options, like ZL6. They are on a tag in the glovebox. 11. After that you will be able to play with the Tech2 clone. 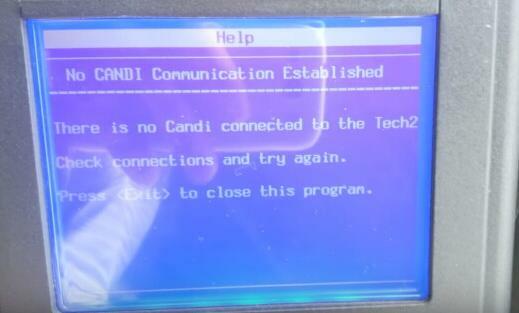 IMPORTANT: Sometimes, it’s just problem with candi, as when using on other cars without candi, it’s just perfect. So you should have a good candi such as . It’s just better, but still needs to connect a few times. So I you can buy another card 148. If not totally solved, rewrite the card to 143 and 136. Both work fine. That is, 148 is no good for candi. Could be corrupted software, or the card problem. These cards coming together with Tech 2 are not good sometimes. You’d better but china knock-offs from a man of his word to trust in. Here, obd2tool.com is one of them you can go with.